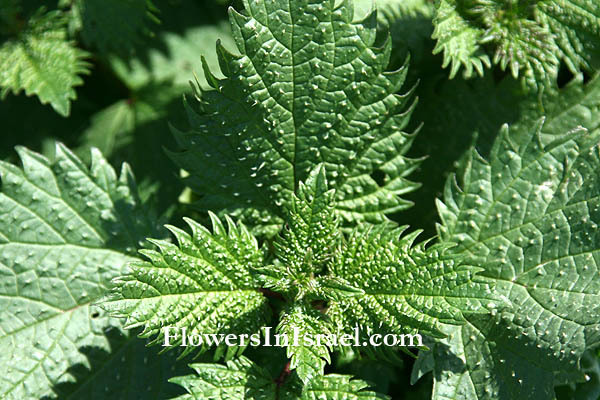 Hebrew: סרפד צורב, Arabic:قريص , Egypt:حريق "Horreiq"
Scientific name: Urtica urens L.
Urtica, uro, I burn, alluding to the nettle's sting; stinging nettle. Their capability to sting makes them useful for metaphors. In the Bible three different Hebrew names are quoted: Sirpad (סרפד)- in Isaiah 55:13; Seravim (סרבים)- in Ezekiel 2:6; Harul (הרול)-Zephaniah 2:9. They are synonyms, the roots s-r-f and h-a-r both meaning 'scorching' or 'burning'. urens, Latin urere, to burn, and refers to the stonging hairs. 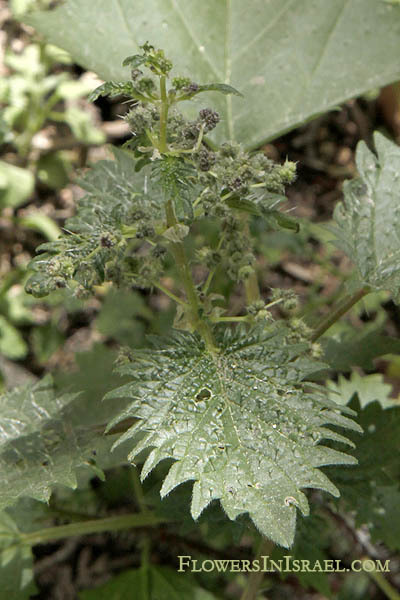 The Romans used the Urtica for "urtication", beating with nettles to encourage blood to the surface, which they did to keep themselves warm and to relieve the pain of arthritis. Dioscorides (ca. 40-ca. 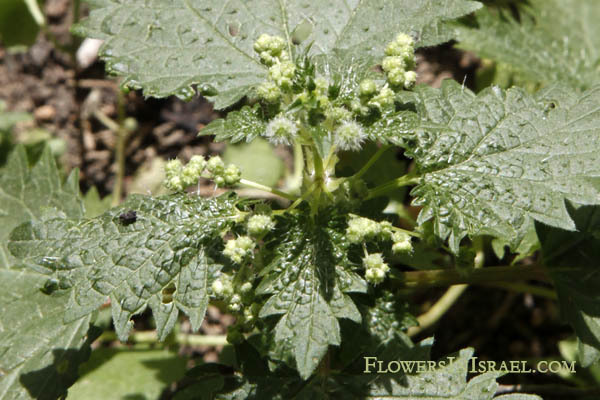 90), the ancient Greek physician, advocated this nettle and its relative, Urtica dioica, as a treatment for festering wounds, nosebleeds, and delayed menstruation. In the following old children's rhyme, "Hitty Pitty" means Nettles. Hitty Pitty will bite you. Instead of the thornbush will grow the pine tree, and instead of briers the myrtle will grow. This will be for the LORD's renown, for an everlasting sign, which will not be destroyed. And you, son of man, do not be afraid of them or their words. Do not be afraid, though briers and thorns are all around you and you live among scorpions. a place of nettles and salt pits, a wasteland forever.